Hey! It's my David Lynch print & I in matching blue! 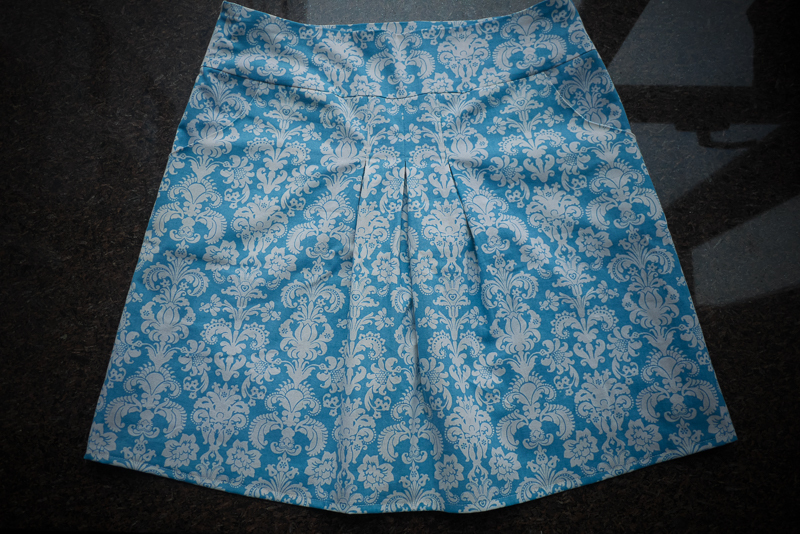 So happy to show you this skirt I started & finished at Sewing School this last month! Yes, my sewing classes with Couture Nomad Shanghai have started again for the year and I’m again surprised at how talking ideas over with my teacher and her hands on approach helps me so much… the work I do there has been SO neat, and I feel like punching the air at the end of every step. 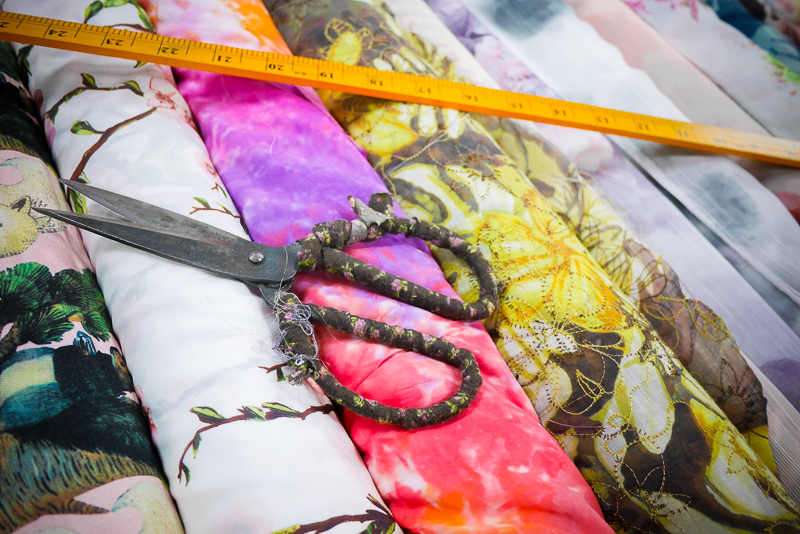 At home however, I whizz through and muck up the hem a little (luckily just the lining) as I wrapped the whole thing up… but well-rounded is a good way to consider my sewing approach… fast & slow, neat & messy… I balance myself out. So, the pattern is part of the Couture Nomad sewing school collection, called Taipei and shows you a simple A shape, with a wide waistband and pockets. I traced it in a size M, using my lower waist just above the hips instead of that high waist part… I do like highwaist on my hourglass, but this would hang a little lower for shirts to be tucked in… but in the month after I finished it, I have lost a bit of weight so it hangs very low on my hips and with slinky tights might just slip off! Next time, I’ll make a S, and because this is on the fold, it’ll be easy to change the traced pattern pieces … slice off 1 cm on the fold and change the pleat/darts. My FAVOURITE part this time was the cutting… I REALLY wanted to match up the wallpaper pieces (I don’t know what this pattern is called, I just call it wallpaper pattern… anyone know?) on this fabric. It’s a second hand/thrifted cotton from my Mother in Law (there’s several of great op shops in her part of West End Brisbane, if you know the area!) and she sent it to me recently. It’s a bit light for autumn, so Teacher Catherine suggested I line it, and that’s just some cheap cotton I had from the fabric market here in Shanghai. So for the yoke, skirt pieces and pockets… I just HAD to pattern match and it was so easy to do using the tracing paper … when I settled on the skirt pieces on the fabric… I overlapped the yoke pieces by 1cm each side (the Couture Nomad seam allowance) and traced the wallpaper pattern on the tracing paper… then found the same piece on the fold further along the fabric. As I traced & cut at Sewing School for this one, the bench was lovely and long and at standing height… if this was at home, I’d have hunched over the floor and wouldn’t have the space to see it all properly… I love having a good work bench for cutting! 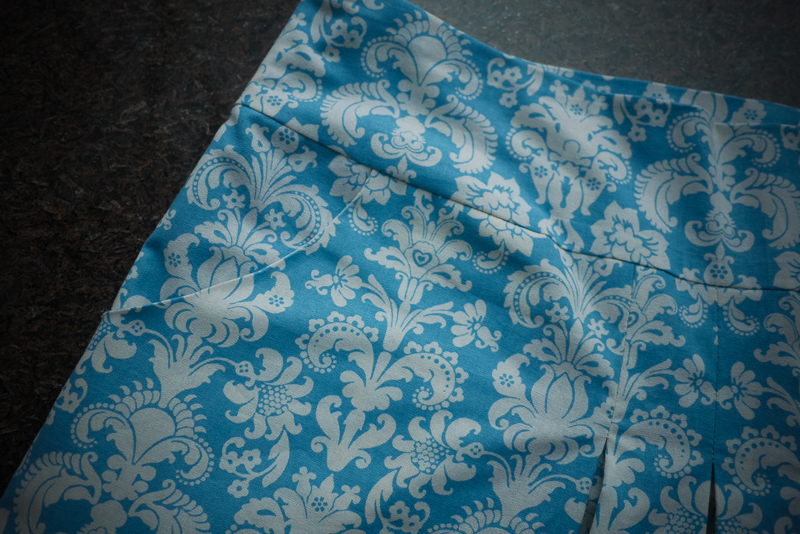 I did the same with the pocket pieces… lined up the sides, the seam allowances and traced the fabric pattern… I’m sure it’s not that surprising to some of you legends of sewing, but I usually just do it by eye, and sometimes stuff up the underside piece. What was interested with this fabric though, the middle of the fabric (with selvages together, wasn’t the middle of the pattern… I had to find the lovely little flower/wallpaper bit that looked like a central piece and fold along that. Thankfully all on grain. And YAY, it’s all perfectly matched. I could *cry* with happiness! A bit sad it doesn’t fit but it’s a lovely shape, and something different for me, so I’ll make it again sometime. 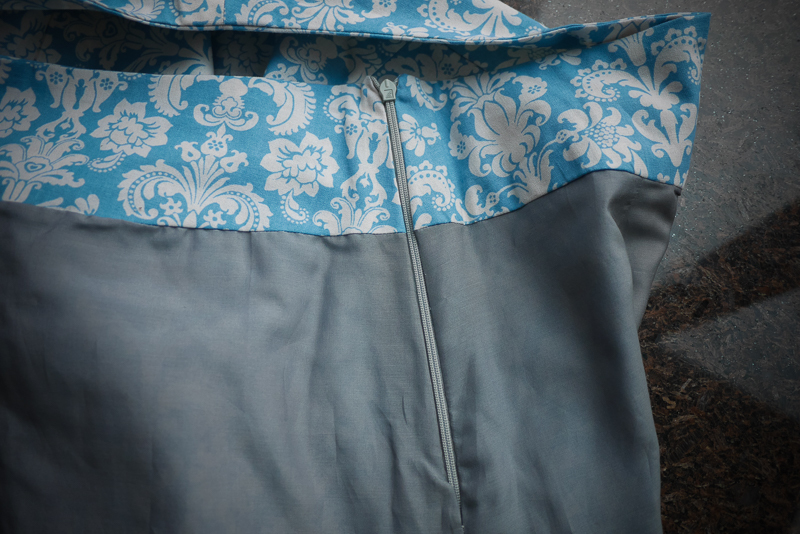 The back is lovely too through the middle… and I also am VERY happy with my seam matching at the yoke around the zipper area… it’s invisible and took a little time, pinning and hand basting REALLY close to the teeth. 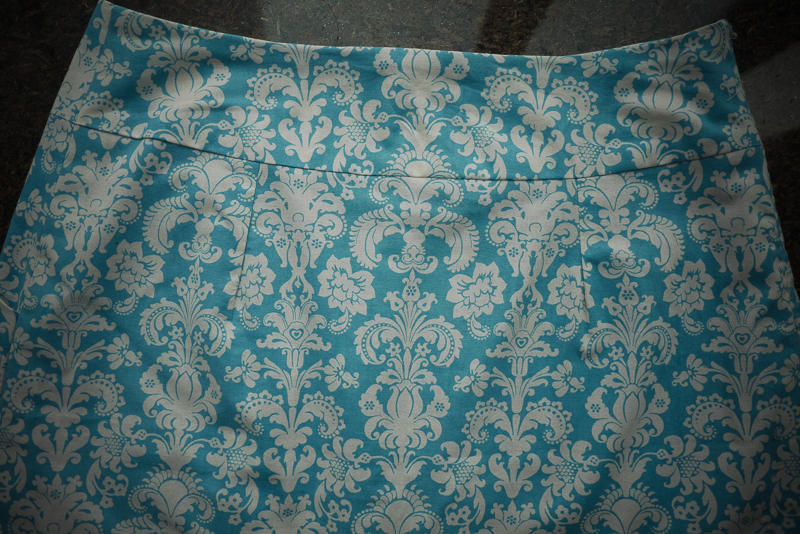 I’ve got some work in progress photos that I’ll post in my Sewing School update soon too… so proud of this one! 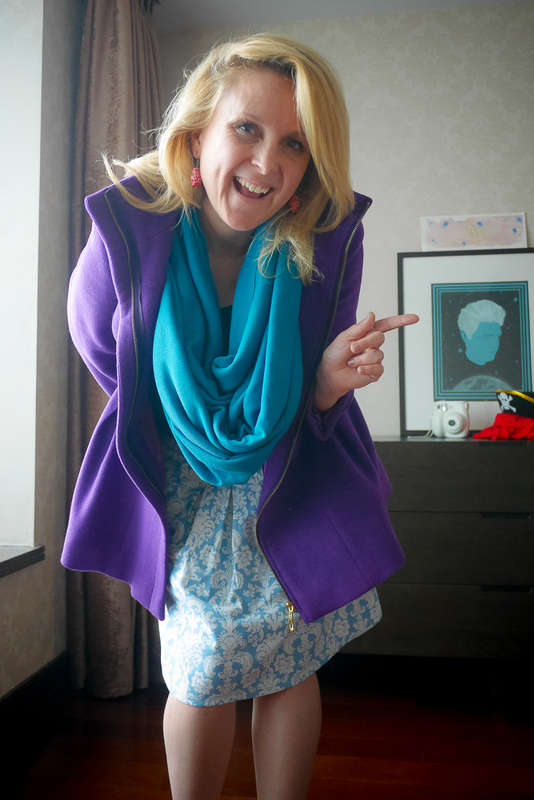 It’s raining a lot this week, but if I was a woman of the world, and went to the office or something other than running errands, on my pushbike often with a 3 year old on back… I would style it like this… but with tights! Next up at Sewing School will be a top, but (always contrary) I might make it a dress because it could look cute as a dress, and I really want to try different textured sleeves. Off to the fabric market this week to have a look for actual WOVEN fabric for a top … I’m never that keen on woven tops, so why not make one!? I love trying new things at the moment. 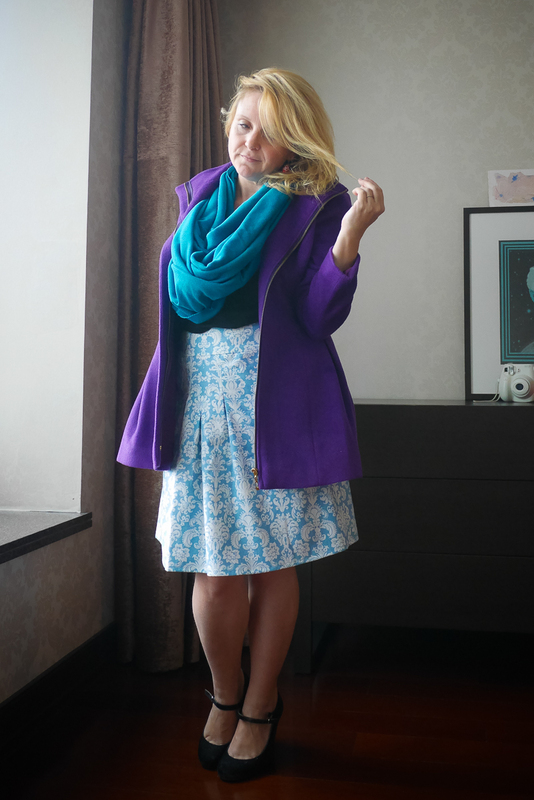 My fit & flare dress isn’t finished yet and as it’s too bright and light, I don’t think my usual favourite shape IS my favourite shape right now… so weird… I still think the season & the city are playing with my moods with what to wear & sew. Maybe it’ll settle down soon!? I feel a little crazy! Have a lovely week, and thanks for reading as always darling! Where to Buy Sewing Supplies in Shanghai: Online!